Welcome to the weekend! Woohoo! It's Day 13 of the Card Positioning System 5th Anniversary celebration and we're on the home stretch! Just two more days to go. This has been fun! The sketches have all been awesome! I'm excited for Saturday. I'm off to Berkeley with my daughter for lunch and shopping at my favorite scrapbook store - Scrapbook Territory. Hope you enjoyed your lunch and had a lot of cute things hop into your shopping basket! 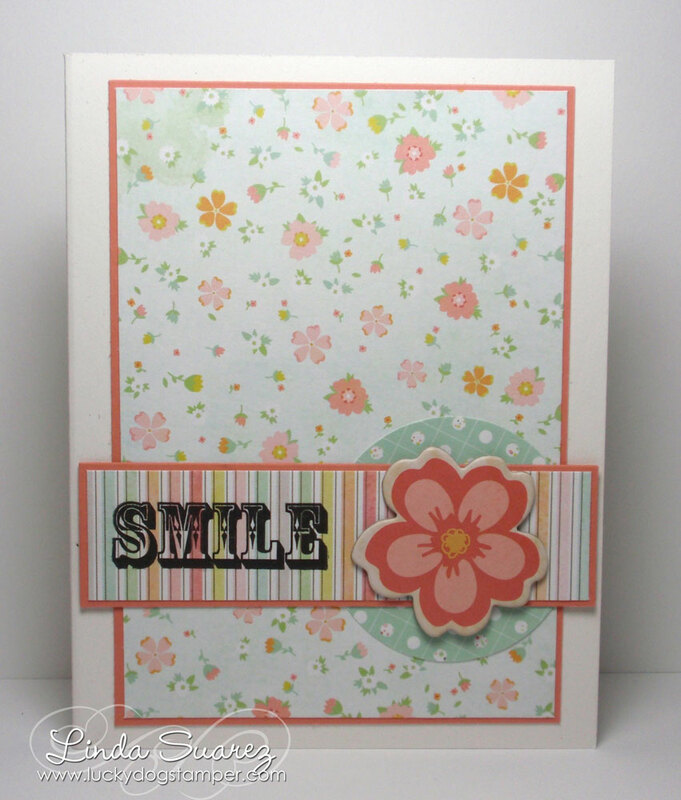 Love this cute, pastel card! Linda love this card!! The pattern paper is wonderful!! Hope you and your daughter have a great day of fun!! 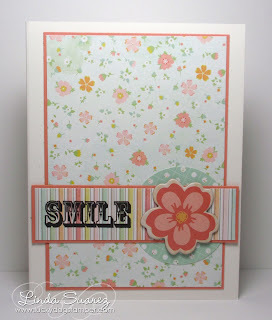 This card would definitely bring a smile to someone's face! Enjoy a girl's day with your daughter, sounds like fun! This is so soft and sweet!! I love the beautiful papers you've used!! Lovely job, and thanks for playing in day 13 of the CPS 5th Anniversary event!